Wouldn’t It Be Good To Listen To Nik’s Favourite Five? Back in August, I interviewed Nik Kershaw for The 80s Annual Vol. II, which will be published next month. After our interview, he agreed to be a guest on the My 80s radio show, choosing his Favourite Five 80’s songs. We weren’t quite sure when that would be, as Nik had a busy couple of months ahead of him. However, I caught up with him towards the end of his tour, and we recorded Nik chatting about his Favourite Five ahead of his gig in Margate, at the beginning of October. The interview will air on this Thursday’s My 80s 9-11pm on Mad Wasp Radio. It’s a good one, so be sure to tune in! As we enter Autumn, I am delighted to reveal the cover for The 80s Annual vol. II. Designed by the incredibly talented Natalie Owen, with photography by Tania Hoser, and featuring the gorgeous Kat Crawley, the cover embraces the bright, fun times of my favourite decade. I love it! A London launch party at the Vinyl Bar, hosted by TV presenter Steve Blacknell, celebrated the release of The 80’s Annual on 1st November. Guests including Jona Lewie, John Otway, Owen Paul, Modern Romance’s Andy Kyriacou and Department S joined me in an evening of nostalgia, as features from the annual were shared against a backdrop of some of the decade’s best music videos. Huge thanks to everyone who came to the event and made it such a success. 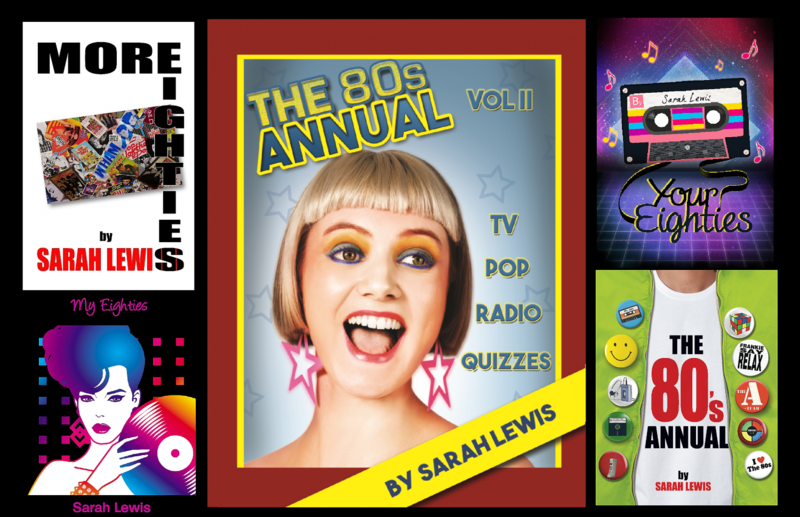 Buy your copy of The 80’s Annual from the Book Depository, Amazon, Waterstones and independent book stores.